Seon consists of several parts and is individually configurable. As a solution for the automated file-based data transmission, Seon Core offers a rich set of functionality, such as the integrated certificate management, automation tasks such as the directory scanner, poll queue and other administratively interesting mechanisms. Administration is done via an HTML5 web interface with a desktop-like application feeling. Within this interface, you can setup all partners, investigate logs, configure automatism and many other things. Supporting ENGDAT, ENGPART and all standards you need for automotive CAD data exchange (other branches of industries may also benefit of these features), Seon Enterprise introduces the management of multiple files in one job. Definitions of locations, departments and recipients extend the functionality to all required hierarchical levels. With Seon Enterprise you have a perfect starting point for job processing based on plugins, process chains and other mechanisms. Existing solutions such as the directory are extended by creating Seon Enterprise jobs. Seon Enterprise offers a lot of plugins, such as (de-)compression of ZIP, TAR, gzip and other formats. E-mail notifications inform about processes, and in addition a transmission PDF plugin offers the configurable possibility to add such a transmission report to the sender's job (optionally sent via e-mail). The list of plugins is not limited, so you are free to implement and add own plugins. An intuitive end-user web interface is available for user management of jobs (creation, fetch, forward, abort, restart etc.). 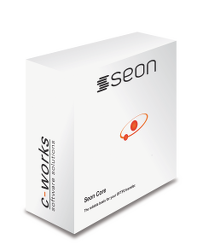 All features of Seon Core are included! The Seon OFTP2 SmartProxy allows you to communicate via OFTP2 in a professional network environment over a DMZ. Security options allow to open connections from inside (the application zone) to the outer zone, but not the other way. With the Seon OFTP2 SmartProxy, you can receive incoming OFTP2 connections securely, allowing to verify the session parameter, even single OFTP2 packages are examined optionally. Client connection can be verified by partner station information, given in the connection client certificate. Support for OFTP1.x ist explicitely configurable, so you can use the proxy for both protocols. With the free Seonvirtual appliance, you start instantly with Seon! 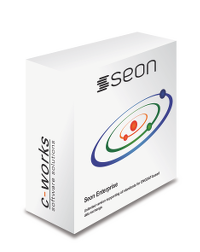 Download, import and run the virtual machine, which offers an updated Seon installation! An installation wizard helps you to setup the machine, all interaction can be done interactively with web interfaces, so there is no need to know which configuration file has to be changed. ISDN connectivity can be done with the usage of RemoteCAPI ISDN controllers. 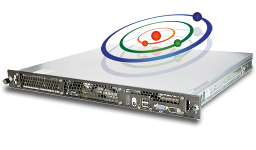 With Seon online you get everything you need for a professional OFTP data exchange: an exclusive static IP address, an OFTP2 certificate, the underlying software, professional data handling, optionally an own ISDN number, and much more. And the best part: it is not expensive! You don't need a grown IT infrastructure, Seon online is online for you all the time.